With the UEFA Champions League quarter-finals favorite, Liverpool host Porto on Tuesday, April 9, in the first leg of the competition. The venue will be Anfield Road Stadium. The kickoff is scheduled for 16h (Brasília time). The return match was scheduled for the Dragon Stadium in Portugal on April 17.The draw for this stage set the path to decision. Whoever takes the best in this duel will face the winner of the dispute involving Manchester United and Barcelona.The setting criteria are the same as in the previous steps. Those who add the most points advance. In case of equality, the tiebreaker criteria are, first, goal balance and then goals scored at the rival’s home. If they are insufficient, a 30-minute extension will be held, in which the goal away from home is also worth more. The last resort is the penalty shootout. 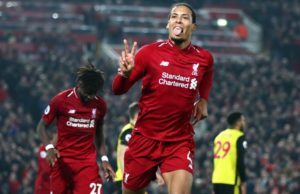 Liverpool had their game for the thirty-third round of the English Championship anticipated for Friday, April 5, to gain a little more preparation time. However, they had to work hard to beat Southampton at St. Mary’s to win 3-1 and thus regain the leadership of the Premier League.He reached the plateau of 82 points (25 wins, seven draws and one loss). They are two points more than Manchester City, second place, but that has an additional match to be held. In the English Premier League, Liverpool are the only team still undefeated in their fields. Of the 16 games at Anfield Road, he won 14 and drew two having scored 46 goals and conceded ten.The field control was also crucial for the reds in the first phase of the Champions League. The team won the three games in their domains and, thus, secured their classification, since it did not get a point even as a visitor.In the Round of 16 however, against Bayern Munich, they did not leave the 0-0 in the first leg. He needed to produce a 3-1 victory in Germany to advance. The team led by German Jurgen Klopp has been unbeaten for 14 games. There were nine wins – including the five most recent games. The last defeat happened three months ago.Scottish defender Andrew Robertson, suspended for the accumulation of yellow cards, is out of the match on Tuesday. Also, they will not be able to play, but due to injury, defender Joe Gomez and midfielder Adam Lallana. Porto also had on Friday, April 5, their commitment to the Portuguese Championship. Confirmed his favoritism before Boavista without having to make as much effort as Liverpool. They won 2-0 to temporarily take over the lead but ended up returning to second after Benfica’s 4-1 defeat against Feirense on Sunday.With 69 points (22 wins, three draws and three defeats), Porto have the same score as the Lisbon club, but it has a disadvantage in the goal difference: 53 to 41. It is divided into three competitions. It is in the decision of the Portuguese Cup. Go face Sporting.The heroic classification against Roma in the quarterfinals with victory in normal time and in extra time left two casualties due to suspension due to the accumulation of yellow cards. Veteran defender Pepe and Mexican midfielder Hector Herrera will not be allowed to play in Liverpool. The number of casualties should increase due to injury problems. They are in the care of the medical department the reserve keeper Fabiano; left-back Alex Telles; and the attackers Bruno Costa and Marius. 1. Statistical data to be taken into consideration before playing Liverpool vs Porto betting tips! He had the emotions of the group, he had the same number of points, 9 with Napoli, but a better golaveraj. In the second half of Bayern Munich, after 0-0 Anfield followed a 3-1 in Germany. He occupies the first place in the Premier League at two lengths of Manchester City who has a minus disputed match. On his own home he lost one match this season, 1-2 in front of Chelsea in the League of England Cup. It comes after 5 consecutive wins, in each of them scored at least two goals. Unlike his opponent, he did not face problems in the group stage where he finished first in the wake of Schalke, Galatasaray and Lokomotiv Moscow. AS Roma was the opponent in the eighth, which he did after overtime. In both games was an equal score in the regular time (2-1), Telles scored the goal of the victory in the 117th minute. It leads a terrible struggle in the Primeira League where it is equal to points with Benfica Lisbon, but the eagles are the first one due to the goal. 2. Latest information before Liverpool vs Porto! Andrew Robertson will leave the left band revealed by being suspended. Alex Oxlade-Chamberlain and Joe Gomez are still unrefired after injuries that kept them away from the lawn for quite a long time. With medical problems and Adam Lallana, it remains to be seen if he is apt 100%. Segio Conceicao has big boss problems, only 19 players are available, 3 being goalkeepers, according to Talksport. Pepe and Hector Herrera are suspended, Telles, Aboubakar and Costa are experiencing medical problems. 3. Liverpool vs Porto Probable Team! 4. Liverpool vs Porto latest last meeting info! The two teams faced the same competition last season, but in the finals stage. After 0-0 on Anfield, cormorants were forced 5-0 to return to Portugal. A total of 7 direct streams were between Liverpool and Porto, the English have 3 wins, four games have ended. A big technical difference between the teams. Adding to that the important embezzlements of Porto and the home factor, the prognosis in Liverpool’s success ends up being strengthened for the first leg of the quarter-finals of the 2018/2019 version of the Champions League of Europe. The previous season was Anfield 0-0, but it’s hard to believe it will be the same score this time. 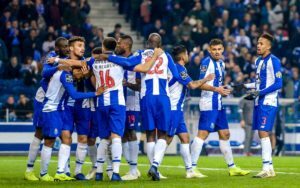 Porto has batch problems, Telles and Pepe will be absent from the defensive, and Herrera from the middle line, Sergio Conceicao has only 16 field players. Comoros have a single failure and three draws this season on their own, they will tackle the game with much enthusiasm specific to the football provided in the island. The Salah-Firmino-Mane trio is one of the most effective at the moment in European football, together with 47 goals scored this season. Liverpool will score, will take advantage of his own field and the problems of his opponent’s team.